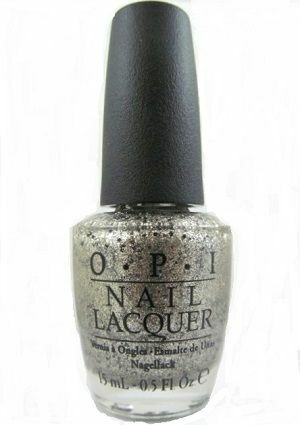 OPI Nail Polish, Wonderous Star, HLE12, .50 fl. oz. Dense gold glitter mixed with scattered black glitter in a clear base.